Jon Tippit always said the Seward Small Boat Harbor was the Heart of Seward. That you can tell when town is thriving, and even feel it’s energy by looking at the hustle and bustle of the tour boats, crews, and anglers. I like Jon, I worked for him one summer. I don’t think I did a very good job for him, but he put up with me long enough to make it through the season. He and his Capt. 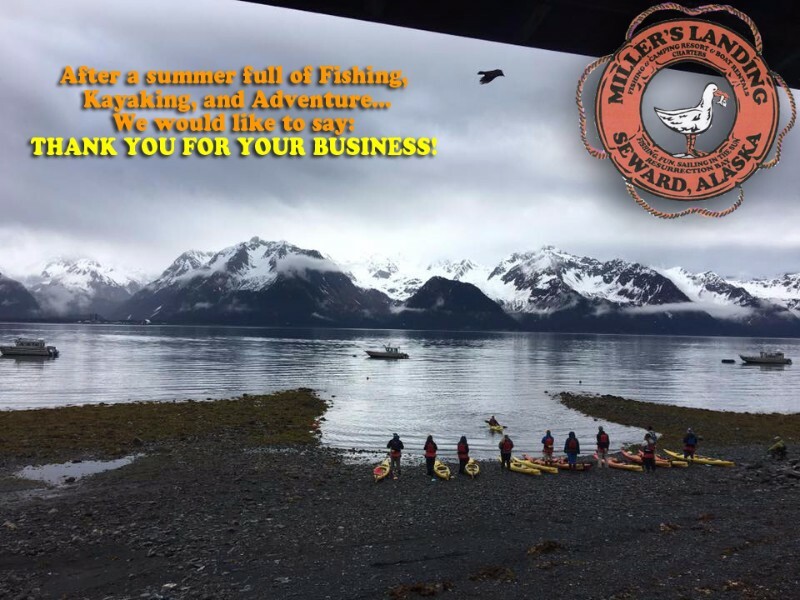 Phil taught me a lot (and tolerated me to boot) and as a result, I’ve always recommended them when we were booked up – they’ve got a really great outfit called Alaskan Summertime Charters. You could go further into Jon’s musings and say that part of the peacefulness of the long winter is also attributed to the harbor. With the summer boats winterized in their slips or on the hard nearby, the fresh inches of snow makes them all look faultless in the dusk-like light of January. It reminds me of those paintings of troops besieged in some cold mountain pass, or watching a working horse put to bed; brushed, wrapped, and stabled after months of driving stock in the wild. It’s thrilling to me, to see all that potential bridled in one spot. A ticking time bomb. 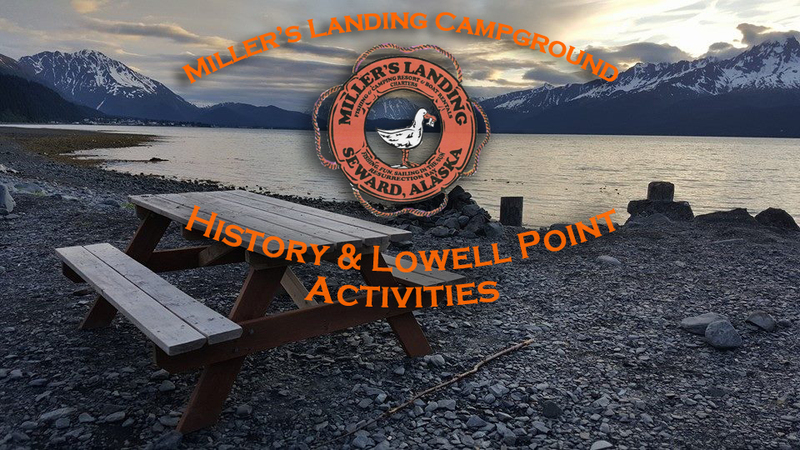 While most of the anglers who visit Miller’s Landing are adults, you are welcome to bring your children along and introduce them to fishing during your stay. Fishing is a fantastic and healthy hobby that helps people connect with the natural world, and it gives you a great way to bond with your youngsters while enjoying some of the best scenery on earth. But you can’t just hand your child a rod, point them at the water and expect them to be successful. In fact, you’ll want to help introduce them to the sport so that they can catch a few fish and enjoy themselves – otherwise, they’re likely to find fishing boring and dread future trips. These are a few of the things I hear when talking to people about what I do for a living. It irks me, because it’s not true. It’s really not! Many people assume that traveling to Alaska and going fishing, or kayaking by a glacier, or watching whales involves mortgaging the farm, or selling that dented but loved ’97 Dodge Neon in the driveway. The truth is it can cost about the same as going anywhere in the lower 48 – sometimes even way less. A lot of people hoard their smoked salmon, it is precious stuff after all! But unless you’ve got a ton of it, it’s hard to justify putting out at a party or gathering. It gets gobbled up super fast (usually by the person serving it), and it’s often not everyone gets to try it. There’s a trick however to spreading out the delicious smokey magic, a conservationists approach to serving smoked salmon, a real salmon saver: It’s Dip. If your go out on a Millers Landing fishing charter, odds are you have a lot of fish. If you have a lot of fish, you’re probably going to attract a good looking person to share it with. If you attract a good looking partner, you may have a child. If you have a child, you probably have very little time, and keep a closer eye on your money. If you have very little time and keep a close eye on your money, you probably do most of your shopping at COSTCO. COSTCO, my friends, is amazing. Organizing Your Alaskan Fishing Gear: Episode 1 – Pimping Out Your Jig Bucket! It’s a challenge every time! How do you keep all that gear organized? What do you do when a single jig can weigh 3lbs? The hook is the size of your palm, the plastic bait a foot long, and you’ve got a dozen of them made up for that super productive but ultra painful pinnacle the current just rips over? What about the Salmon Mooching Rigs you spent hours building last winter, or the circle hook leaders and big bait rigs? The struggle is real. For us and other operators out there, there are literally hundreds of set ups to crimp, tie, snell, set, and store each season, both beforehand and during the rush. Equipment has to be organized, clean, accessible, and pre-made as much as possible so that when the fish are biting (and breaking) your rigs, you can get them back on – fast. There are dozens of proven ways to do this, we’ll share some of ours, as well as some ways we’ve seen it done in our new series: Organizing your Alaskan Fishing Gear. What to talk about first? What else – The Jig Bucket. Doesn’t sound so tough, does it? Enter a day in the life of Elijah, Miller’s Landing’s Operations Manager. Your alarm goes off at 5AM. It might as well be noon, it hasn’t been dark at night for a month. Hopefully you got a good night’s sleep because hitting “snooze” is not an option. If you’re late, every single trip of the day will be late also. Get up! Let the dog out for a few minutes and head down the road to open up the office. Hopefully the grounds crew are already there – As you pull up you see Jean and Brad already hard at work, these guys are so dependable. First you have to wake up! You ready for this? Mornings at Miller’s Landing are no joke! You open the office and start brewing some coffee – by the gallon. Free coffee for over 35 years sets a precedent, you really can’t make it fast enough. Building a fire in the wood stove is second nature at this point, in moments eager anglers and kayakers are already crowding around with steaming cups of joe, excited for the day’s activities. By 5:30 the rest of the morning staff have arrived, the kayak guides, captains, and deckhands are already on the boats. Sometimes you have to give them a bit of a kick, but they’re pros and quickly get moving once they’re up. Mornings are beautiful at Miller’s Landing! The sun over Resurrection Bay from the porch of the store shouldn’t be missed! What is the Best of Alaska Tour? Kayaking, Fishing, Sightseeing in a day! What makes the Best of Alaska Tour the “Best of Alaska”? Our Best of Alaska trip takes you to the glaciers for an ice specific paddle, provides a meal, fishing for 4 hours for rock fish and salmon (in season), and sightseeing to the National Park, all in the same day, in a small group setting. It’s definitely the best deal around! It’s a bold statement. We get it. “Best of Alaska” is a big thing to claim. Why would we dare? Well… There are a lot of logistical issues when you plan your trip to Alaska – tons of pros and cons to each decision made. Seward is a really dynamic place with a LOT going on that’s at the top of a lot of traveler’s lists. Planning is a huge issue for most groups and it often feels impossible to make everybody happy. Sometimes you figure out how to make everyone happy, but then you can’t line out how to actually get them to each activity as they all leave at different times. The Best of Alaska Tour isn’t just Glacier Kayaking in the National Park, it’s not just a half day fishing charter, and it’s not just a Kenai Fjords Tour through the Chiswells, Aialik or Northwestern. It’s all three, and it’s the answer to a bevy of group travel concerns and issues. The Fox Willie and the Michael A, Miller’s Landing’s custom built landing craft, load up the night before with kayaks and gear for a day of adventure! 2017 Was an Amazing Season – Thank You! 2017 was FULL of Fishing, Kayaking, Camping and Alaskan Wilderness Adventure! Now that we’ve slowed down a bit and gotten close to weatherproofing most of our equipment, said goodbye to the last of our summer staff, and had a chance to breathe, it’s time to reflect back on all the excitement the season brought!